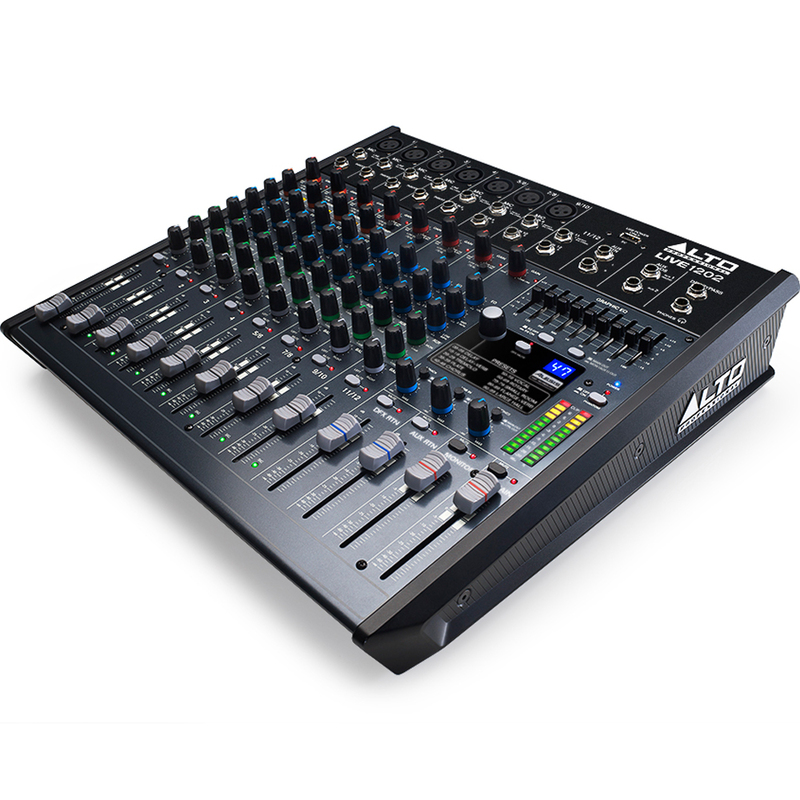 The Live 1202 from Alto is a professional 12 channel, 2 bus mixer equipped with the tools you need to sculpt the perfect mix. It offers flexible routing options and a range of onboard DSP tools to fulfil the demands of nearly any live performance environment. 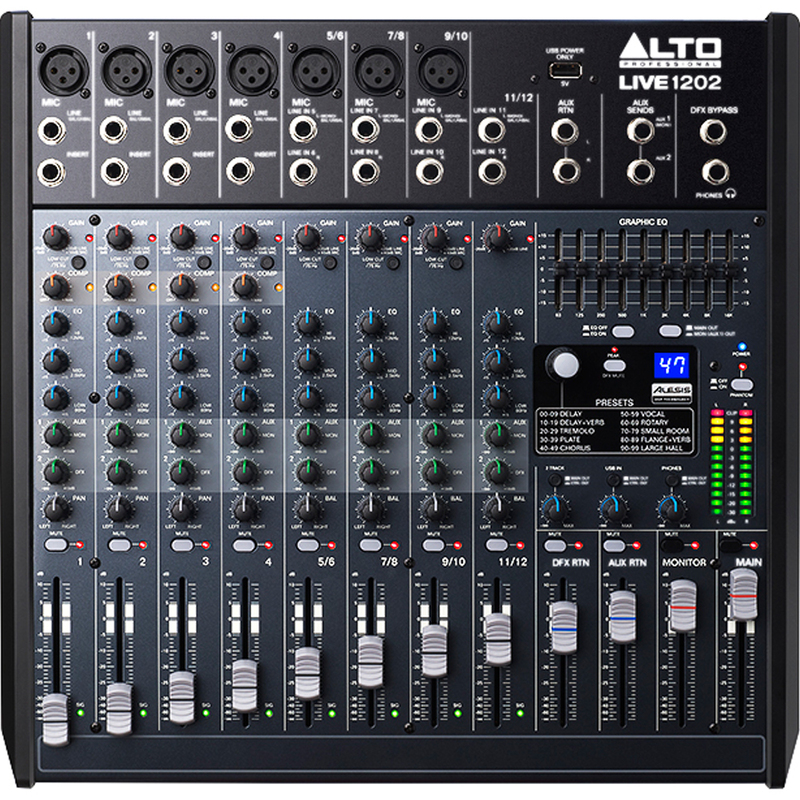 The 1202 Live features 7 balanced XLR inputs with phantom power and each channel offers a 3 band EQ and 2 auxiliary sends. There is also a 9 band graphic EQ for the main and monitor outputs. The Live 1202 adopts 60mm faders with LED metering to provide precise control and visual feedback when mixing.Each microphone channel boasts a high-headroom, ultra-low noise preamp resulting in a purer signal path. Channels 1 to 4 also offer analog compression to help ensure that the full dynamic range of your mix comes across with striking clarity. 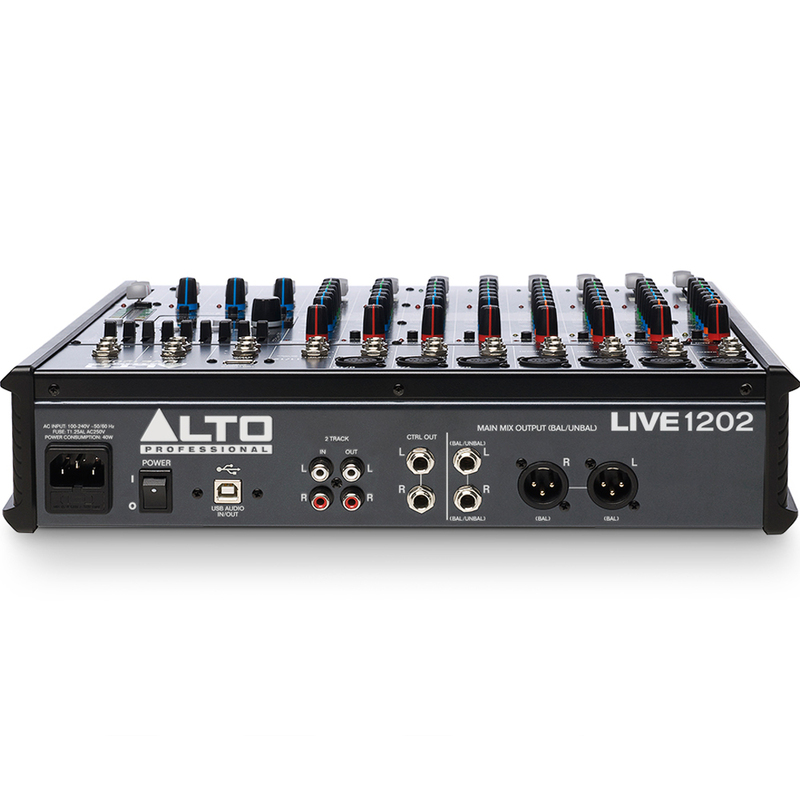 The Live 1202 has a built in audio interface so you can record to your Mac or PC over a single USB connection. A stereo signal can be routed either from the main mix or sub mix straight to the computer. The USB connection is bi-directional so audio can also be played back fro your computer through the 1202. The Live 1202 also offers 100 high quality 24-bit Alesis FX including reverbs, delays, chorus' and flangers, giving you additional creative control over your sound. The Live 1202 employs colour coding so even if you are using it in a dimly lit environment you can identify what you need to adjust. It also offers LED indicators for the output level, peak and phantom pow so you can keep track of your settings no matter how little light there is. Dimensions: 14.1" x 13.6" x 3.1"
In total it all went fine. 2 minor things: there was no european net-cable in the box (An answer by mail in about 0ne hour is very good!!) and it arrived friday in Netherlands, but it was delivered at my house on monday...First impression of the mixer is good.